I don’t think I am capable (or even worthy) to write a text -let alone a so-called ‘’review’’- about one of the most terrifying, powerful, moving books I’ve ever had the blessing to read. This is a novel for which the verb ‘’love’’ holds no meaning. It is superficial and insubstantial. This is a novel that comes only once, maybe twice, in the life of a reader and leaves us speechless, staring in awe in front of the power of Literature and the horror committed by human beings. This is one of the most significant books one will ever read. In fact, it should be taught in every school in Europe. Perhaps then there would be a small glimpse of hope for change in a world that still lets politics define lives and codes of behaviour. A world that still adopts the evils of Nazism and Sovietism, the two faces of the same coin. Andreas Ban, our guide on a journey through the darkest periods of our recent History, through the horror of Nazism, the nightmare of Sovietism, the bloodshed during the 1990s. A psychologist who has failed to decode the evil in all of us and has chosen to reside in a coastal town in Croatia. What we witness is his personal journey through seemingly disjointed thoughts and memories of a dark past and a tumultuous life. A life sealed with the bloody mark of war, terror, and despair. With the results of the mob that feels the need to kill just because they obey men who would frighten the Devil himself. Andreas focuses on the Nazi crimes and the terrors committed by the Ustaša regime which led to the massacre of Serbs, Jews, and Roma. He barely touches in the 90s war and this was refreshing. We know all there is to know about the 1990s conflicts in the Balkan peninsula but virtually nothing about the atrocities committed by the Nazi puppet states during the Second World War and the years prior to it. Andreas’s thoughts ask us to consider questions that seem to have no easy answers. What happens when you are the child of a war criminal, forced to carry an impossible burden? What happens when you are a citizen of a country that was responsible for unspeakable crimes? What hope is there when the result of a war for independence is the arrival of a new dictatorship? Andreas is someone who craves truth as we crave air and water. Through the absurd persecution of the Jewish people over the centuries, he contemplates the futility of our existence, the horror created by a human being and the monsters born out of these actions. The countries that collaborated with the Third Reich paid the price but there is no future in a world that remains fixed in the past as a pretext to serve vile ambitions. Who is on the side of righteousness and who condones the crimes of the Nazis and the Communists? Whose opinion can the rest of us trust? There is an array of utterly disgusting Nationalists, Nazi worshippers, Stalinists, murderers and rapists that answers to the question ‘’how can a war start?’’ The reason why people become beasts following these ideologies is to be found in low education, low self-esteem, and all-around hereditary evilness. This is my personal explanation and observation. Andreas’s heart is in Belgrade and the violent rules imposed by war-mongers demand that he become an enemy. How can you put your past aside when war has taken away your identity? Andreas remembers children being humiliated by their teachers in the service of a tyrannical state. His mind is haunted by images from Bergen- Belsen, Auschwitz, and Dachau. The seven dwarfs of the Ovitz family, Mengele’s terror experiment. One more monster that was never punished for his crimes. The Šabac concentration camp where 25,000 people were imprisoned and 7,000 of them were massacred by the Nazis and their allies. 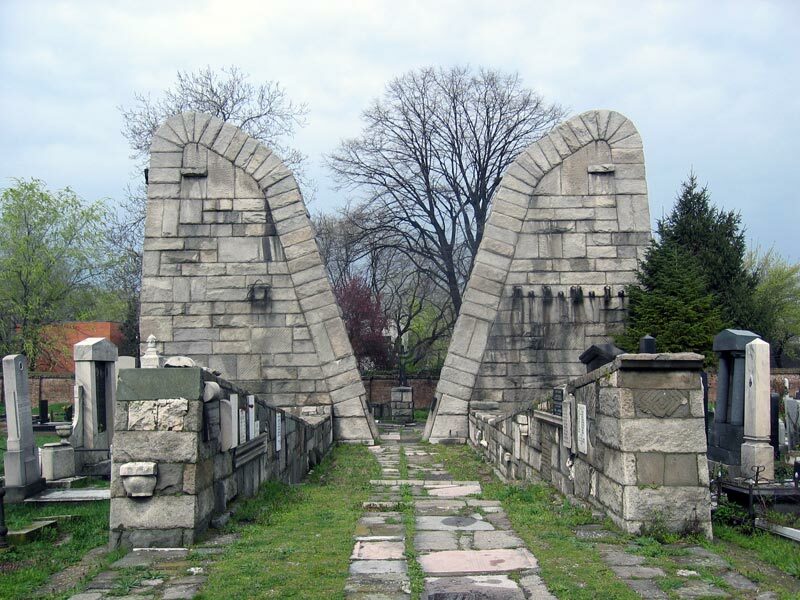 Andreas takes us to Belgrade and the Sephardic cemetery which is a true beauty to behold. I visited it a few years ago and the sight is moving and poignant. It is located next to the Cemetery of the Liberators and its unique Holocaust memorial and the monument commemorating the Kladovo transport when winter became a Nazi alley, condemning hundreds of people to a horrifying death. You can see some of the most impressive monuments there, created by Bogdan Bogdanović, one of the most renowned Serbian architects. Our journey continues to Zagreb, Split, and Imotski, three of the most beautiful cities of Croatia. To Amsterdam, Vienna, Leipzig. To Paris, Moscow, the Hague, and the seven shiny chairs, a monument in honour of the children taken by the Nazi beasts. Above all, the river Drina stands as a symbol of unity and the peaceful coexistence of people and religions which is so fragile and easy to tear down. Art in all its forms is Andreas’s faithful companion. Akhmatova, James Joyce, Pessoa, Beckett, Dubravka Ugrešić (one of my favourite writers), Plath, Pasternak, Andersen, O.Henry. Eisenstein, Picasso, Plisetskaya. The story of the rescue of the broken dolls and the crazy Clementia. The flowers as a symbol of life blooming and life withering and dying. This is a masterpiece that cannot be compared to other novels with similar themes. 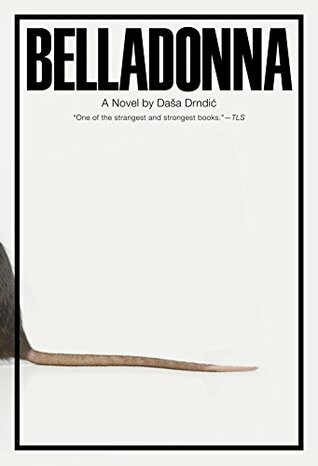 This is the child of Daša Drndić, a modern, female Dostoevsky, perfectly translated by Celia Hawkesworth. An elegy to a life torn by isolation, guilt and the agony and struggle of sustaining even the faintest resemblance of life in the midst of a never-ending terror born by Fascism of both sides (right and left have zero differences. Their aim is to oppress and destroy) How can you let the sunshine in and avoid the poison of the belladonna when monsters still roam the world?